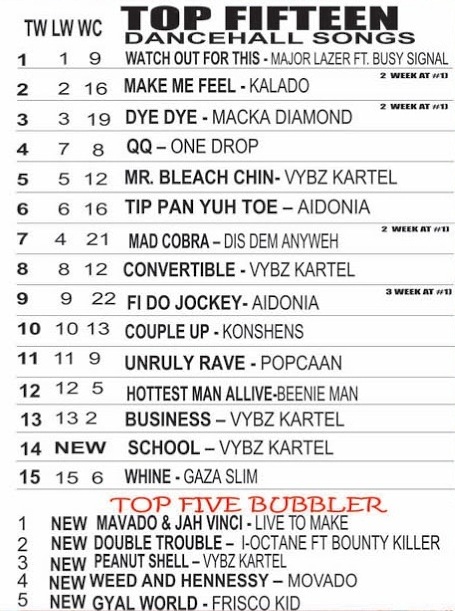 Check out last weeks Stampede’s Streets Charts top 15 dancehall and reggae charts. It will be featured on our site weekly from now on. 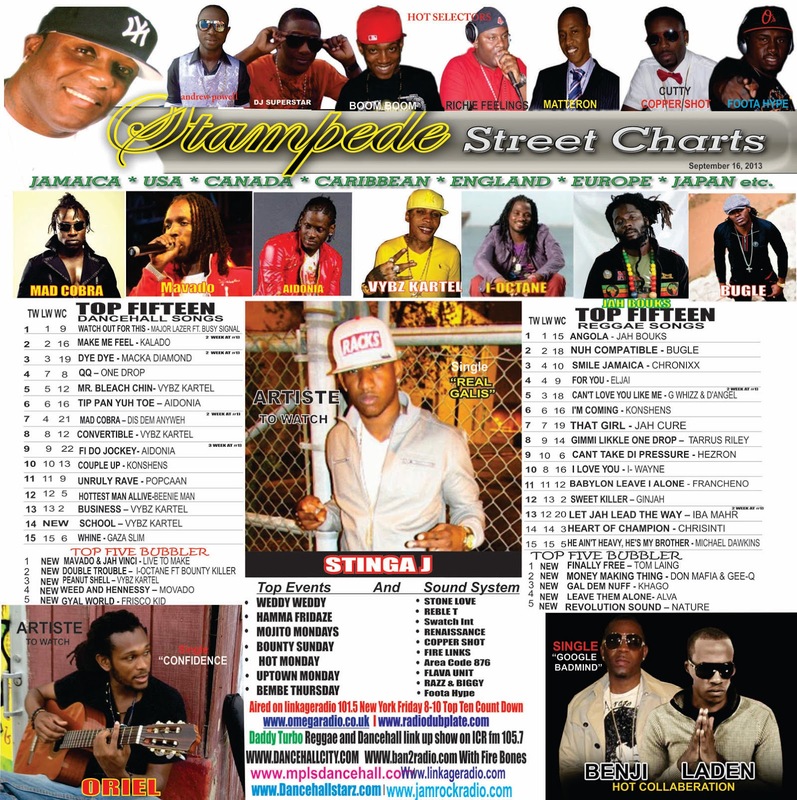 In this weeks Streets Charts: Benji and Laden featuring with the hot collaboration of the week. Stinga J featuring as hot new artiste to watch. 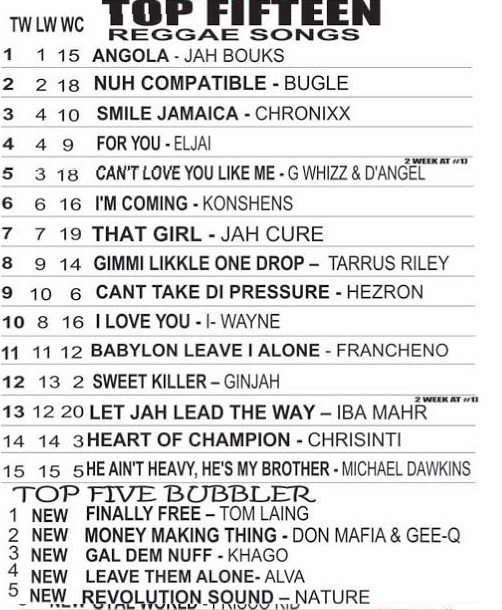 Oriel featuring as new reggae artiste to watch,while Jah Bouks remains at the no.1 reggae spot with the hit single ‘Angola’ and Major Lazer ft. Busy signal remains at the no.1 dancehall spot with the hit single ‘Watch Out For This’.